WhatsApp developers are working on the new status messages for a while now and the recent versions indicate that it is close to an official rollout, on both iOS and Android platforms. 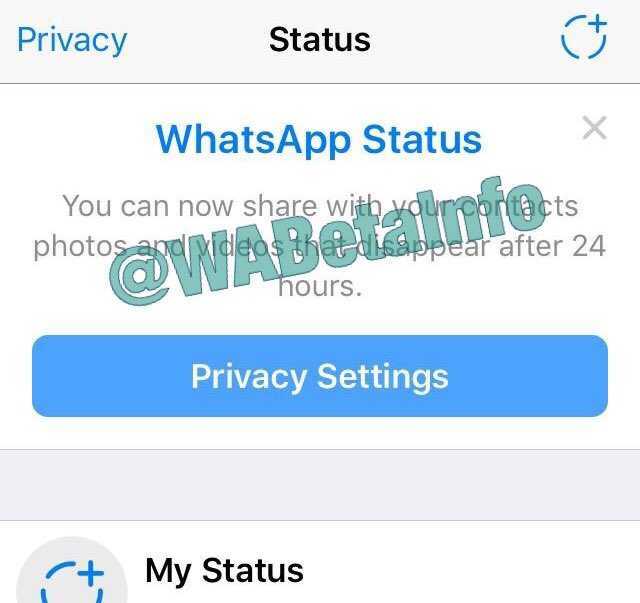 The team has added a status message introduction text to WhatsApp beta iOS version 2.17.4+ which states that any image or video sent using the feature will automatically be deleted in 24 hours. The new feature is not so innovative because Snapchat had it for ages and it was this particular aspect that made the app so popular in the first place. It gained much traction among young users and Snapchat finally filed for an IPO recently. When some of these features are too good to miss, developers don’t think twice and add them to their own app. Bringing the ability to send private messages that delete automatically within a short period should make WhatsApp more fun for the younger audience. Besides, based on recent rumors it looks like the status messages in the messaging application will have multiple perspectives and not just the one inspired by Snapchat. It will also act like Status updates on Facebook allowing users to share photos, videos, text or emojis based on their mood. Adding more privacy, you can choose to block your status messages from specific contacts, or allow it to be viewed only by select contacts. Additionally, you will also be able to know who viewed your status messages and when. If you choose to hide your identity when you view other status messages, you will not be able to see who viewed your message. The privacy setting is very similar to the one used in last seen online. If you hide your activities, you may not be able to view what others are up to. 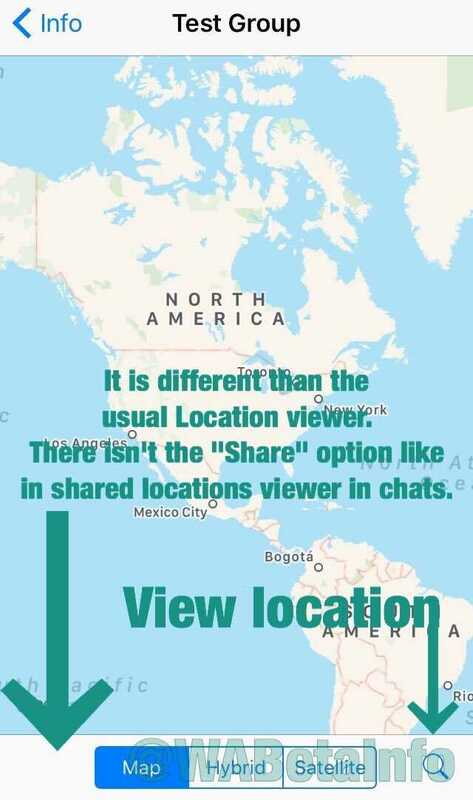 The developer team at WhatsApp beta for iOS and Android also detailed the location sharing feature. When you tap on the option “Show my friends”, a map will open and it will show where your friends are. The feature allows you to know and find them. It also makes it easier to organize group meetings and if one of your friends is on a trip, you can know where he or she is by using this particular option. The location sharing ability is expected to increase security for young children and anyone who needs to be monitored constantly when they are on the move.